Want to see the tool inside? 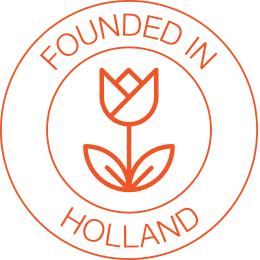 Check our blogpost on how it works! Safely store your ideas in a three times encrypted “fort knox” digital safe. Ideas remain private. Even our developers can’t access them. Every idea has a personal identification and date stamp which will remain in the database and can be consulted at all times by the idea owner. 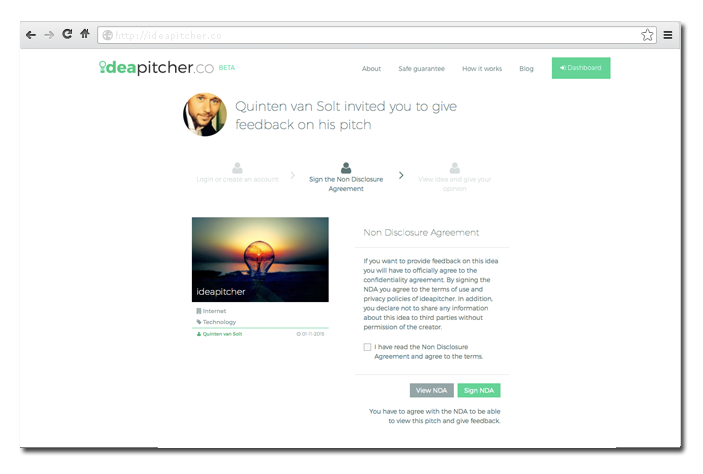 Pitch and invite trusted contacts to review your idea. 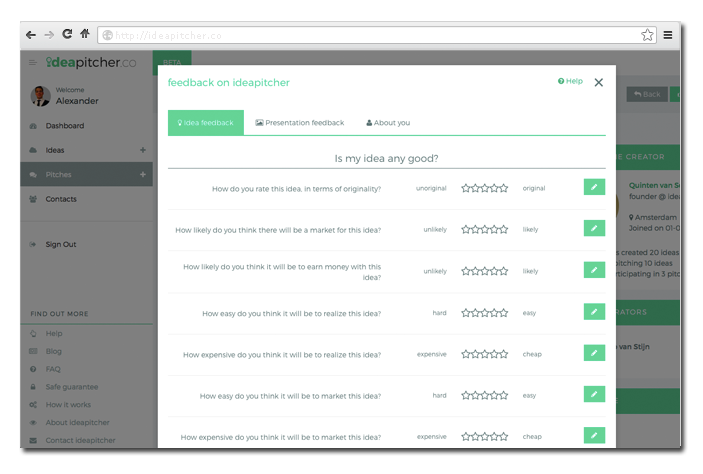 Ideas are shared in pitches and only available to the audience you’ve selected. “Spreading the word” is in your hands and easy to follow and track. 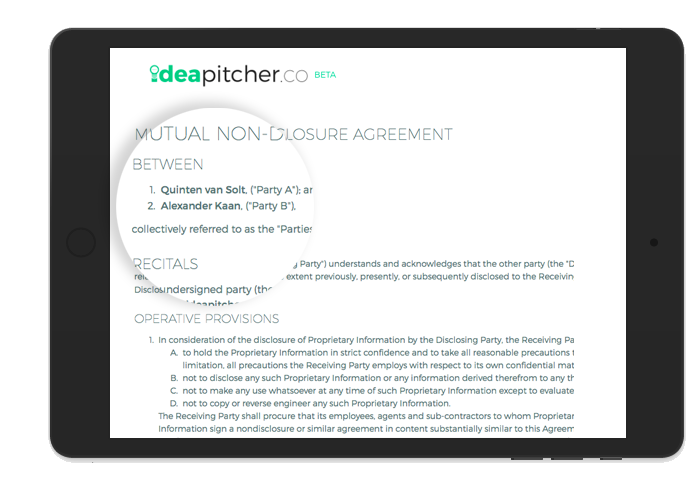 Before someone can see a pitch, they will have to sign a digital NDA (Non Disclosure Agreement). This NDA is double opt-in so it is an official legal document which can be consulted at all times by the idea owner. Receive structured actionable feedback, find industry experts and collaborators to built your team and business-plan and connect with investors to fund your ideas and turn them into actual products and services. 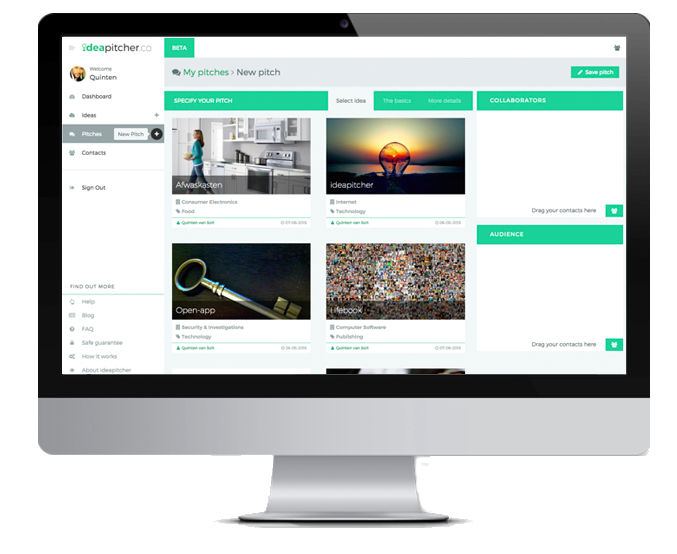 ideapitcher is the safest and most advanced way to develop creative and business ideas into successful plans and concepts. Besides that we are a worldwide community of creative minds and people who are crazy enough to think they can change the world. Don’t wait till someone else has succes with your brilliant idea. Start pitching today!